Creative Masonry & Chimney is the leading provider of chimney cleaning, sweeping, and repair in Granby, Connecticut. We are a one-stop solution for all kinds of chimney maintenance. Our chimney cleaning and repair services range from chimney sweeping and inspections to masonry repairs and fireplace restoration. We have more than three decades of craftsmanship experience and because of our quality of services, our clients have given us a 5-star rating. We have highly trained specialists for every job. With Creative Masonry & Chimney you will never get an unskilled technician for a job no matter how big or small. Regular maintenance of your chimney is highly significant for you and your family’s health and safety. Any negligence in the maintenance of your chimney can result in a serious health and safety risk. 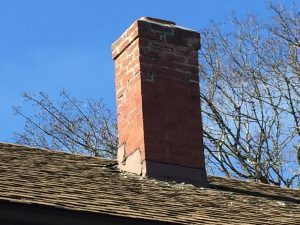 An unkempt chimney has been a leading cause of house fire incidents and also causes other structural damages to your home that can be expensive to repair. Chimney Rebuilding: We suggest our expert chimney rebuilding services when the damage caused to your chimney is not repairable. Chimney Cap Installation: If we discover a water leakage, we recommend the installation of the chimney cap. Chimney Liner: If a broken chimney liner is affecting the efficiency of your fireplace, we can repair or install a new liner. Water Proofing: We suggest repair flashing and application of waterproofing sealant to the construction to prevent water damage. 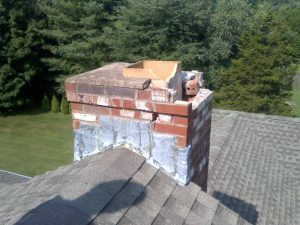 Creative Masonry & Chimney is the most trusted chimney contractor in Granby, Connecticut. We have highly trained experts for every service. We have respective technicians for cleaning and masonry services. Creative Masonry & Chimney are the OSHA certified and licensed, properly insured and offer highly trained experts. 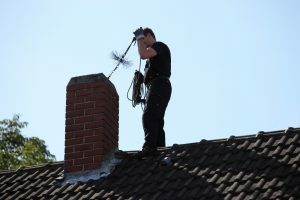 We carry proper workers compensations, general liability insurance, and umbrella policies and our clients enjoy a 100% stress-free chimney cleaning and repair services in Granby, Connecticut. To ensure the complete satisfaction of our clients we offer outstanding customer services. For all your needs for chimney cleaning, sweeping and repair contact Creative Masonry & Chimney today.